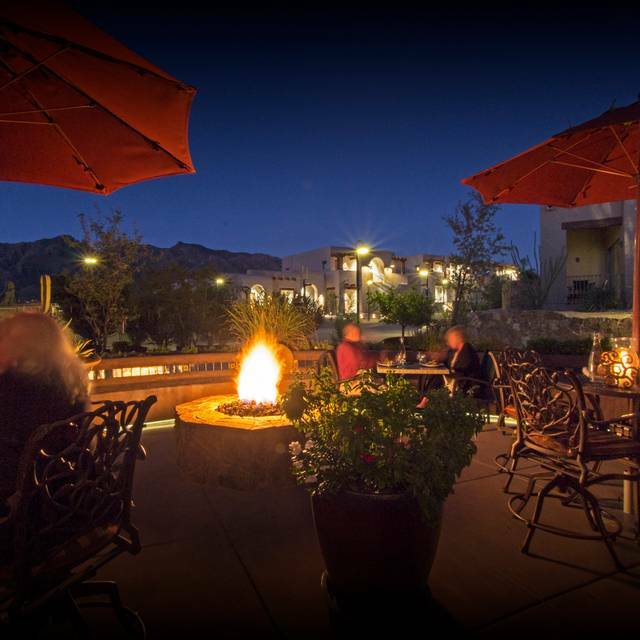 Join the Terraza for nightly live music. Terraza chefs put a unique spin on every single dish they create. From tapas to sandwiches and everything in between, every bite is flavorful and inventive. Enjoy our brand new Tapas Menu, daily from 3PM to close featuring filling bites for just $9. Stop in Monday-Thursday and enjoy some tapas along with special pricing on drinks from 3PM-6PM for Happy Hour. 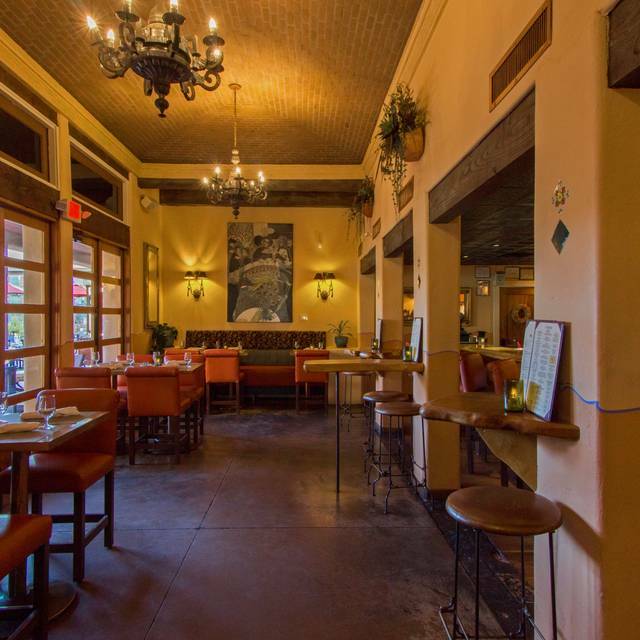 Try a Port & Pomegranate Sangria, local Tucson brews or the always classic Hacienda Margarita. 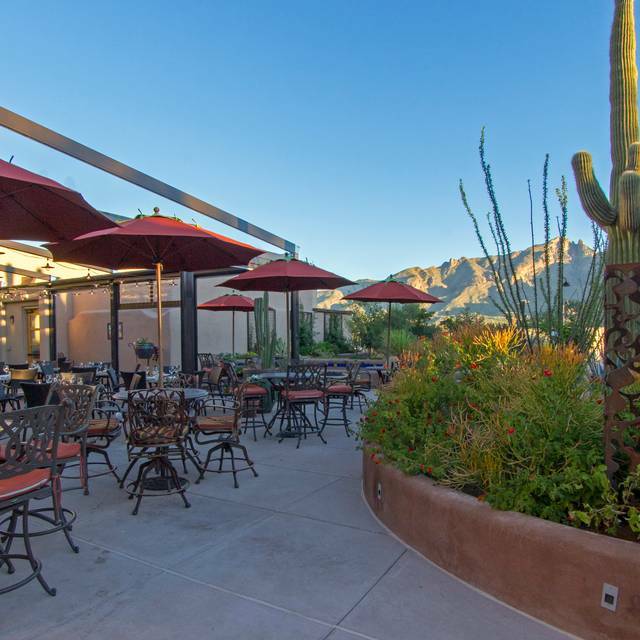 Enjoy live music every night of the week on the beautiful heated and air-conditioned patio. Everything tastes a little better when you’re on the Terraza. They could not find their cocktail menus. A margarita was expensive. The pasta dish was not good and the music not good. We will not go back. Excellent food and service. Always! Two of us went on a Sunday night, specifically because we wanted to hear the musician that was playing that night. Not only was the music great, as expected, but the food and service were also very good. They have a Tapas menu, and some of the items are $2.00 cheaper at Happy Hour. They also have a regular menu, which is about half appetizers and half entrees. All prices are what I would consider quite moderate. The wait staff were very attentive, especially the man that kept our water glasses refilled, even as we were also drinking wine. We elected to order an appetizer to share, waiting to place the entrée order until later. It's a good thing we did, as we ended up ordering a couple more appetizers and skipping a formal entrée altogether. The weather cooperated; it was a lovely evening, and we left happy. Beautiful view of the mountains from our seats on the enclosed porch, great jazz tunes from the piano player. Lovely starter salad Ahi Tuna. But the fish tacos were boring and lacked seasoning. I love a good fish taco but these were not that. Brought a visiting friend and my wife and daughter. Everyone enjoyed what they ordered and the outdoor dining area was perfect, and quiet enough for all to hear the conversation. The inn was magical in the evening. Very enjoyable. Good food. Not a fan of the piano music playing that night. 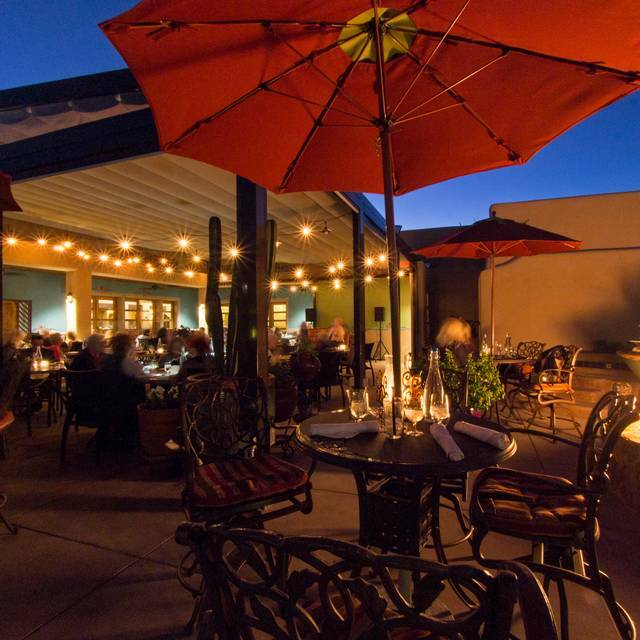 Need more heat sources for outdoor dining on cool nights. Food is usually good but this time prime rib was cold and medium well and had to be rejected. Burger wasn’t right the first time either. Waiter advised kitchen in process of turnover. Hopefully better next time. Wine service excellent as usual. Maybe next time we will just stick to the wine. Anyway, will try again in May. Got seated at the terrace , we asked about the restaurant and were able to cancel our order and accommodate us to the beautiful view in the dining area. Great stay!! Waiters we’re superb. Thank you for making our evening special!!! Food was good. Very slow in arriving and waitress did not check back until over half way through eating. We were seated at a tiny table behind a pillar behind the band. This arrangement was unacceptable and they could not offer other desirable options; hence, we left. We had sangria and tapas. I've never before cared for sangria... always too sweet. This was not terribly sweet and had a very complex and delicious flavor. The blue crab tapas had a generous amount a real crab and was as tasty as it was beautiful. We enjoyed everything... and the wait staff was very nice. Lovely view and ambiance. We will definitely be back soon! Highly recommend. Normally, this restaurant is exceptional. Today, we waited for two hours to get our main courses. Our waitress made several mistakes on orders. There was no live music. 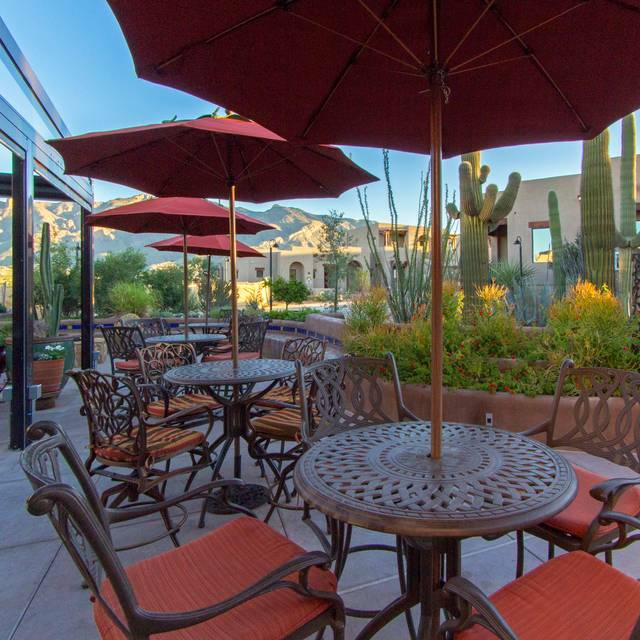 We’ll still be back and recommend Hacienda del Sol highly. We think this was just a perfect storm of underperforming. Everything was good. Mahi-Maui tacos were a little fishy, but that can happen. Very attentive wait staff. Weather was cold and rainy, which took away from the overall experience of this resort, which has a great location overlooking Tucson. As always, it was another very pleasant experience. Michael is a great server. Always a good time with great food at Hacienda! Terrible service. Special occasion with close friends in from out of town and very disappointed with the poor service. Thank you for joining us on the Terraza Garden Patio, our new stage, and live music program have been a hit! We certainly appreciate your thoughts on the speed of service and will work to improve. Hope to have you again as our guest in the near future! Charming place with lots of sw feel. Food was excellent and service was friendly and helpful. Will do again when in Tucson. Thank you for taking the time to comment on your experience. We hope to have the pleasure of serving you again. Even though it was snowing, which is an anomaly in southern Arizona, the atmosphere was warm and inviting. Our server was attentive and pleasant and the tapas was delicious. The jazz band, that performed later, was a surprise and was the frosting that topped off our dining experience. Our only complaint is where we were seated. It was immediately outside the door to the bar and there was quite a lot of traffic in and out. We were early (5:30). Only one other table was occupied. We asked before sitting if we could have a different table. The hostess refused saying all the other tables were reserved. Clearly, they were not. The restaurant was barely half full by the time we left. The food was great. The trout was especially good though the accompanying potatoes were scant. The server was friendly, knowledgeable, and efficient. I would warn anyone that the room is very noisy. In addition, we were told our table requesting a quiet area had been given away even though we arrived exactly on time. If you want to have a conversation, wait for warm weather so that you can be on the patio. This restaurant is everything a diner could ask for. The atmosphere of the resort is beautiful. The service is attentive but not rushed. The food is delicious. Service has improved 100% over last year. There were managers checking on tables frequently. Food and service was excellent. The previous Happy Hour menu is no longer available which is too bad. Current tapas menu is not that appealing. Prices are a bit high, but the ambience is worth it. Its a great venue. The wait staff outstanding. I was disappointed in the quality of the food. The temperatures for most of the good was barely warm. We were surprised given our dinner several weeks ago was excellent. 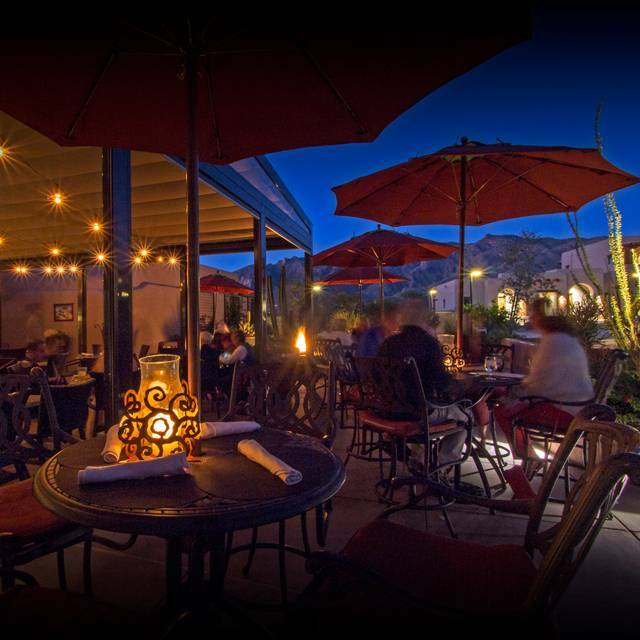 I really like dining at the Terraza Garden Patio & Lounge... especially because of the great southwest ambiance and the nice servers. When we recently met friends there, I was disappointed in the lack of seasoning in the seared ahi salad (for which I ordered more vinaigrette dressing) and the trout entrée. On the plus side, the service was excellent, and the HH red wine very tasty. We'll keep going back, but would like the chef to know that they should spice up their dishes (not to be spicy hot, just more seasoned). We were disappointed with our evening to Hacienda Del Sol. We Had a reservation and still had to wait 10 minutes for our table. The food was very average with limited menu selections. Service was less then timely too. We won’t be coming back. We waited 20 minutes for our drink order to be taken and at least another 20 for our dinner order to be taken after we flagged someone down. No apologies were offered. We dined outside on the terrace. Was a very pleasant evening. The restaurant has an early dining menu, and we ordered entrees from that. The food was outstanding. We had a Caesar salad and shrimp as appetizers from the Terrace menu.The Caesar salad was so fresh. The shrimp were huge and extremely fresh tasing. My husband had the beef short rib. Very tender and flavorable. Unfortunately the accompanying polenta was bland. The kale was tasty. I had the lobster fettuccine. What a great dish—homemade pasta, creamy sauce, and lots of lobster. The service was excellent. There is live music too. Great live music! Check out Cynthia Hilts on piano! What a Tucson gem! Bing greeted us upon our arrival (and saw us off two hours later;-) ... So friendly and helpful!! Brendan was our A+ server. He gave us lots of great suggestions and timed coming back to our table perfectly each time. Had an excellent dinner of tasty tapas and slow roasted prime rib in the cozy beautiful Southwest inspired bar. We had a wonderful dinner. We loved the three different menus they had, we just wish they were all on one sheet or menu card. 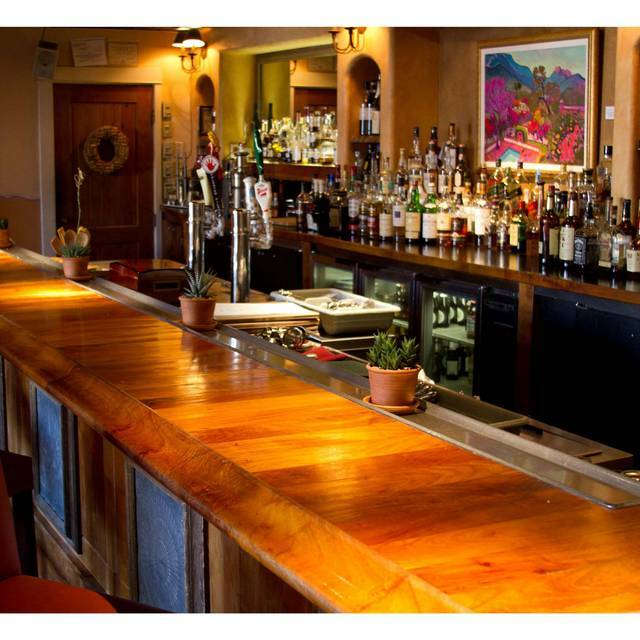 The service was excellent and the ambiance is perfect. Our server, David’s timing was poor. Although he knew a fair amount about wine and the complicated menu, he seemed to disappear at times. He did say he had a table at the pool as an explanations. The wine and wonderful food could have made up for his disappearance, but my partner’s coffee was wrong and my caramel latte was room temperature. The lemon pound cake was brought to our table by someone other than our server. The pound cake was the best . The food was outstanding and the waitress was very attentive and showed that she enjoyed waiting on us. The service was average. Had to ask for water refills multiple times. (same with the coffee both mornings we were there). The tuna was super fishy and we asked for a different meal. The ambiance however was outstanding. Beautiful hotel and we would definitely stay there again. My mom was visiting from out of town and I love to bring out of town guests to Hacienda del Sol. And while the atmosphere makes the experience wonderful, I find the food most often falls flat for me. The menu always seems so interesting and unique but when it doesn’t ever seem to impress my taste buds. For example, we ordered the cauliflower and shishito peppers. To start the cauliflower was basically raw. Calling it al dente would be kind. Next, the peppers were roasted, whole. And there was a huge pile of peppers. The sauce was on the plate and though it was tasty, it didn’t stick to the veggies well. It just wasn’t very satisfying or delicious. I would have preferred the peppers roasted, peeled, cut up, more sauce, served with bread or crostini. I did take the peppers home and made a frittata! Nothing else we ordered was delicious, just ok. Sorry for the critical feedback. And it might just be my own taste. But I can say this is my fourth visit and each time I feel this way about the food. Great service and tapas (and other plates for sharing). Good selection of cocktails and wines. Scenic views from the patio. A great location. Everyone on the site, from the Valet parking staff to the gardeners were cheerful, courteous and very helpful. The gardens are breathtaking. It was a wonderful first visit and we can't wait to return.